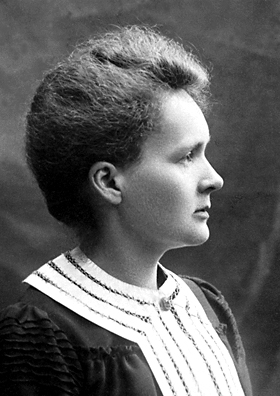 Today is the birthday (1867) of Marie Skłodowska-Curie, a Polish and naturalized-French physicist and chemist, famous for her pioneering research on radioactivity. She was the first woman to win a Nobel Prize, the only woman to win in two fields, and the only person ever to win in multiple sciences. She was also the first female professor at the University of Paris, and in 1995 became the first woman to be entombed on her own merits in the Panthéon in Paris. She was born Maria Salomea Skłodowska in Warsaw, in what was then the Kingdom of Poland, part of the Russian Empire. She studied at Warsaw’s clandestine Floating University and began her practical scientific training in Warsaw. In 1891, aged 24, she followed her older sister Bronis?awa to study in Paris, where she earned her higher degrees and conducted her subsequent scientific work. 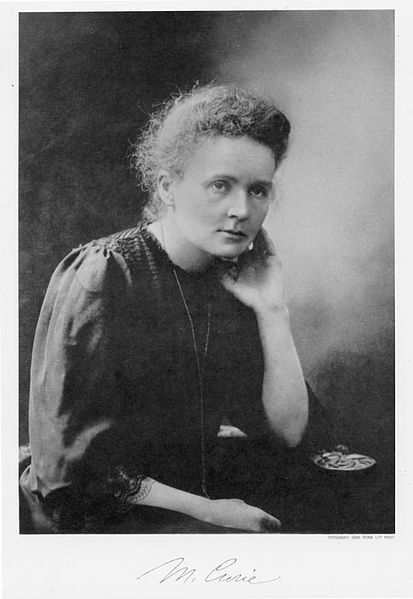 She shared the 1903 Nobel Prize in Physics with her husband Pierre Curie and with physicist Henri Becquerel. She won the 1911 Nobel Prize in Chemistry. Her achievements included a theory of radioactivity (a term that she coined), techniques for isolating radioactive isotopes, and the discovery of two elements, polonium and radium. Under her direction, the world’s first studies were conducted into the treatment of neoplasms, using radioactive isotopes. She founded the Curie Institutes in Paris and in Warsaw, which remain major centers of medical research today. During World War I, she established the first military field radiological centers. 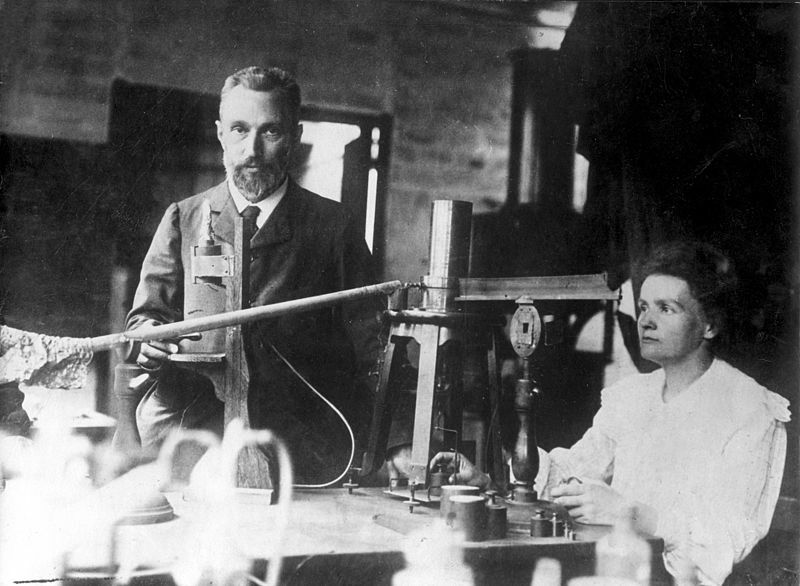 While a French citizen, Marie Skłodowska Curie (she used both surnames) never lost her sense of Polish identity. She taught her daughters the Polish language and took them on visits to Poland. She named the first chemical element that she discovered – polonium, which she first isolated in 1898 – after her native country. Curie died in 1934 at the sanatorium of Sancellemoz (Haute-Savoie), France, due to aplastic anemia brought on by exposure to radiation – mainly, it seems, during her World War I service in mobile x-ray units created by her. Bigos is the national dish of Poland. There is no single recipe for this savory stew of cabbage and meat, as recipes vary from region to region and from family to family. Typical ingredients include white cabbage, sauerkraut, various cuts of meat and sausages, often whole or puréed tomatoes, honey, and mushrooms. The meats may include pork (often smoked), ham, bacon, Polish sausage, veal, beef, and, as bigos is considered a hunter’s stew, venison, rabbit, or other game; leftover cuts find their way into the pot as well. It may be seasoned with pepper, caraway, juniper berries, bay leaf, marjoram, dried or smoked plums, and many other ingredients. Bigos is usually served with mashed potatoes or rye bread. 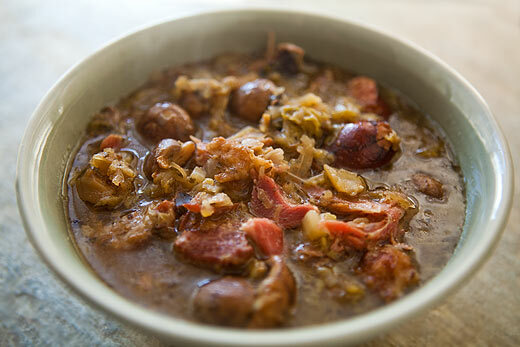 As with many stews, bigos can be kept in a cool place or refrigerated and then reheated later; it is said that its flavor actually intensifies when reheated. One observed tradition is to keep a pot of bigos going for a week or more, replenishing ingredients as necessary. This, the seasonal availability of cabbage, and its richness in vitamin C made bigos a traditional part of the winter diet in Poland and elsewhere. It is a popular dish in Poland to be served on the Second Day of Christmas. My recipe here is considered to have a French twist. Polish aristocrats of the 19th century frequently added French elements to Polish cooking. Seems suitable as a dish for Madame Curie. Brown the pork in bacon fat in a heavy pot. Add the sauerkraut, sausage, garlic, spices,and stock. Cover and simmer until the pork is tender (1 to 1½ hours). In the meantime, add the cabbage to a pot of boiling water, reduce heat, simmer 20 minutes and drain. Sauté the bacon and onion until golden, add the flour mixed with water and stir until smooth.Stir into the pork and sauerkraut mixture and add the tomato, cabbage, and mushrooms, and salt to taste. Simmer for 10 minutes, add the wine and serve with mashed potatoes or crusty rye bread. Of its wondrous taste, color and marvelous smell. You need health, live on the land, and be back from the wood.